A snow-capped couple used to sit next to me in a café, clucking away with each other and passing friends. The first time I noticed them, I was trying to read Athanasius’ “On the Incarnation,” but couldn’t pay attention. I was privately amused at the way they loved each other, giggling as they finished each other’s sentences and offering to get up one for another, because at their age, it was too much of a commitment for them both to stand up. I was conscious of my eavesdropping, but not of the effect they were having on me. They became part of the aesthetic of the café – the warm, sun-filled widows, the robust, walnut-toned coffee, and the happy old couple as familiar as the furniture. They were always there. Until one day I saw her alone. When I stopped to ask, I withered to hear of his passing. She was thereafter different than she had been before, as was the café. That couple for me is a better metaphor for the Trinitarian God than most of the go-to illustrations. 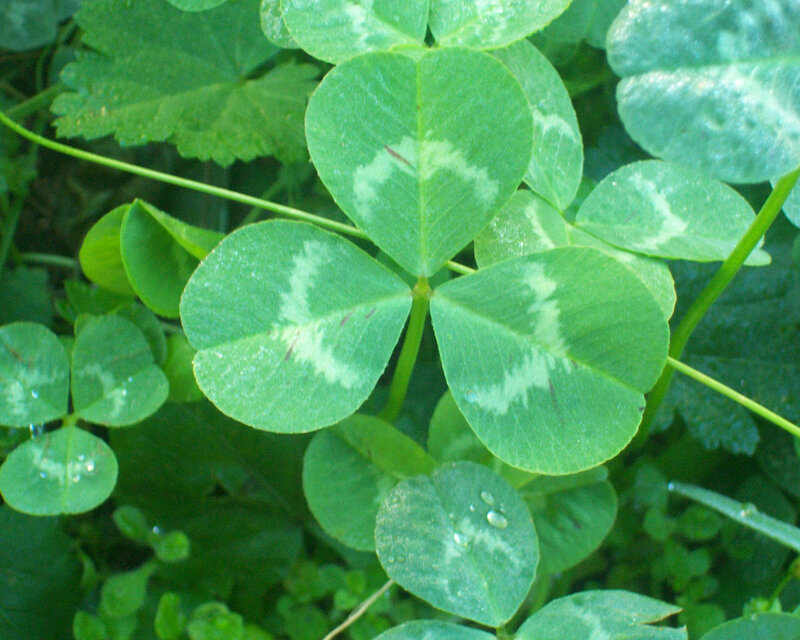 St. Patrick notably used the three leaf clover to explain the Trinity to the pagan Irish, but his metaphor was flawed, because if you pull a leaf off of it, you still have a deformed clover, but a clover nonetheless. A widow is something fundamentally different than a spouse. One does not merely lose a spouse, one loses spousehood. When we love and are beloved, to lose love changes our identity. Imagine the Trinity not as a mechanical philosophical concept requiring technical definitions of “substance” and “nature,” but rather a being who is so infused with and exuding love that the Father, Son, and Spirit are giddy at finishing each other’s sentences, that within the nature of the one God is a love so overwhelming that it must be reciprocated. Trinity is love immune the frailties of human love. It’s love made perfect, love like the first time a baby laughs, love like a wedding, love like a hero dying to save someone else. Imagine a love so urgent it can’t resist exposing itself to the risk of betrayal and brutality. It will pay the cost if only to love one more. Imagine a kind of love that promises a day when inseparable lovers are reunited, because that’s how a good story is supposed to end. A friend of mine who is a missionary in a Muslim country tells me that she sometimes tells Muslims that there is “love if,” “love because,” and “love despite” – you can love someone if they will do something for you, because they have done something for you, or despite anything that they do for you. She has been told more than once by the people to whom she ministers that “love despite” isn’t real. Imagine love despite. That’s a better description of Trinity that most of our metaphors.